So I know it’s freezing cold outside and snowing! And actually I’m excited about it. It’s Saturday and I don’t have to drive anywhere so I’m quite content to be stuck at home while everything brown is covered with a white blanket. Plus eat some ice cream. I believe that ice cream is essential for any time of the year, not just summer. I like to curl up with a blanket, a book and a bowl of ice cream. Forget the coffee. 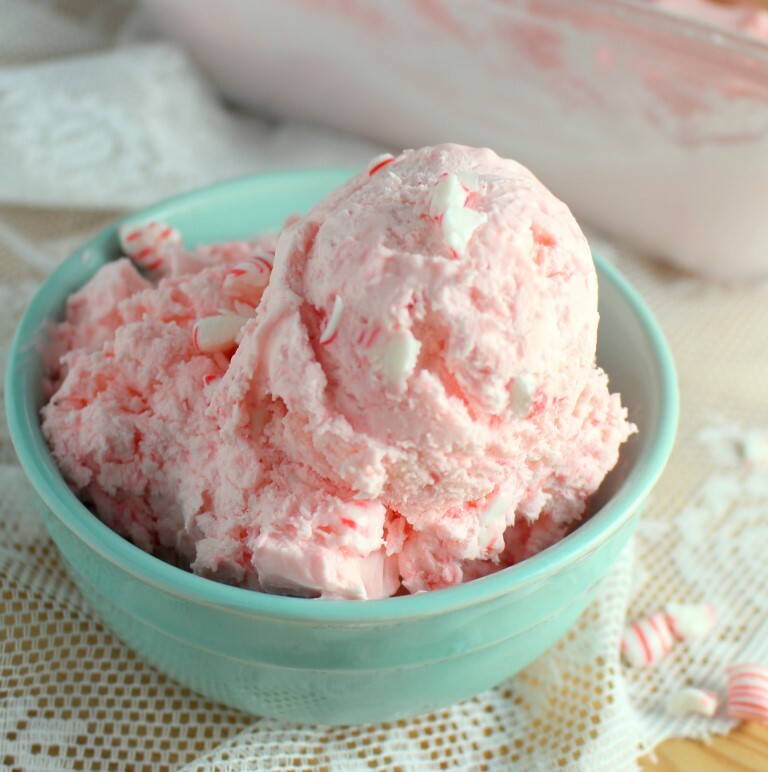 And let’s talk about the fact that you can only buy peppermint ice cream in December. 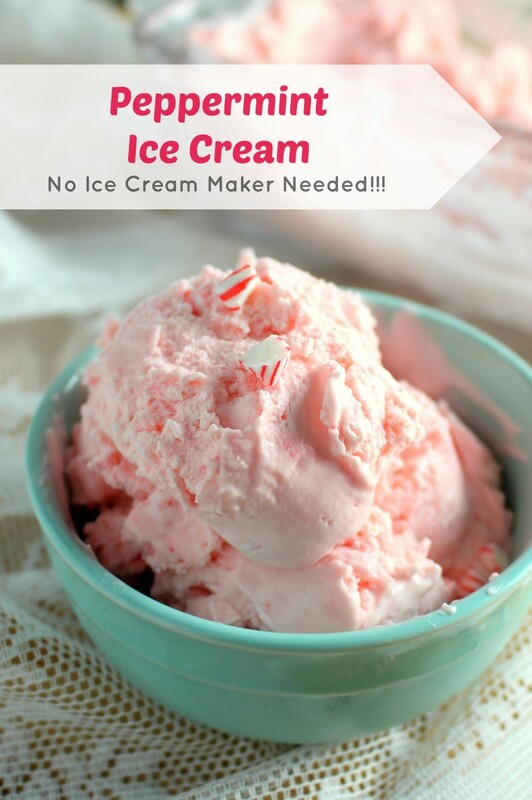 I’m not sure what happens in the marketing people’s heads that they think people only want peppermint ice cream around Christmas, but I’m satisfying the cravings of the peppermint ice cream of the world with this easy, no churn peppermint ice cream. One thing about food photography I learned this month, is that it’s a lot easier to take pictures of ice cream when its snowing out than, when it’s 80 degrees and sunny. No more 30 second photo shoots. Although, I did miss the necessity of devouring my subject because it was melting into a pool of sweet milk. This ice cream is creamy and perfect for eating alone, but would also be great on top of a brownie. In a stand mixer, beat the heavy cream until stiff peaks form. Gently fold in the sweetened condensed milk, mint extract, and candy canes with a rubber spatula. Add a few drops of food coloring if desired. Pour the mixture into a 2 quart dish. Cover tightly with a plastic wrap and freeze overnight. If you’re more of a chocolate person, try this No Churn Chocolate Peanut Butter Cup Ice Cream for Dessert Now Dinner Later. Or this decadent looking Caramelised White Chocolate No Churn Ice Cream. If plain ole vanilla is your thing, here is a No Churn Vanilla Ice Cream from Love Grows Wild. 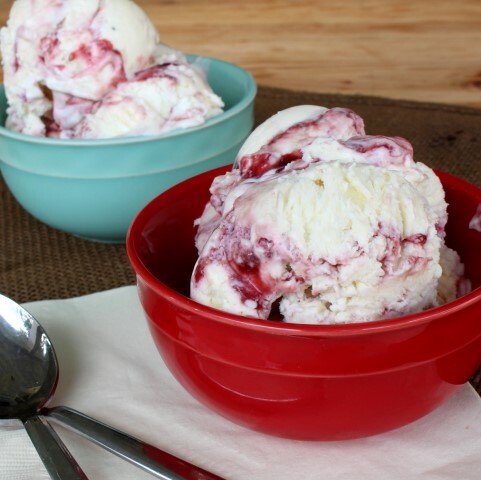 Or for a fruit version try my Raspberry White Chocolate No Churn Ice Cream. I just LOVE no-churn ice-cream! Even though it’s freezing outside I’m still craving frozen treats the whole time! Love the peppermint flavour – so refreshing and delicious. 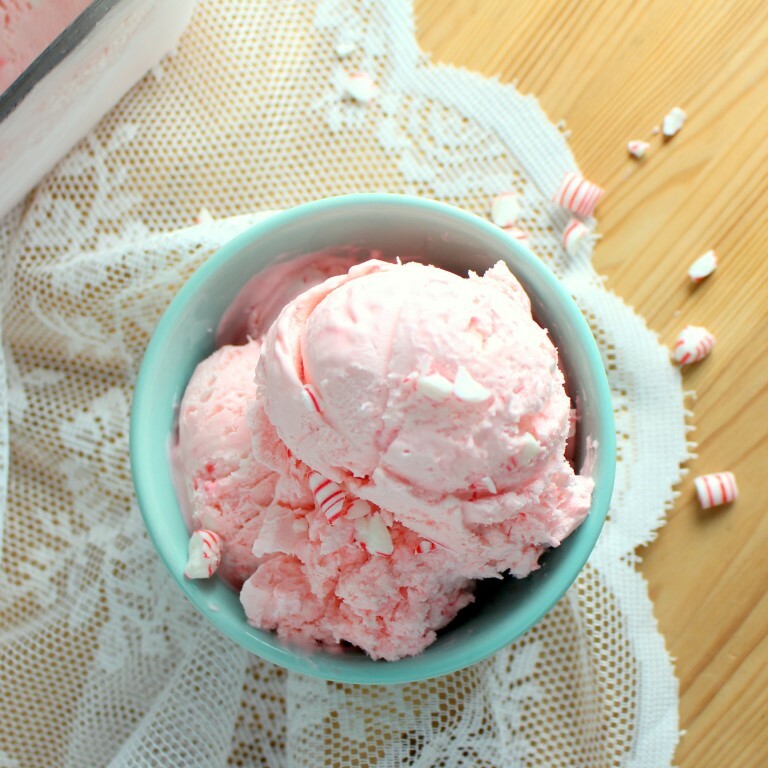 Peppermint ice cream is one of my favorites! I love how pretty yours looks in those cute blue bowls! Something I can use my leftover candy canes in that is actually delicious? Yay! 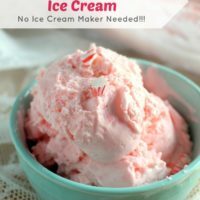 I can eat ice cream all year long and peppermint or mint anything is always one of my favorites 🙂 This looks so pretty and refreshing and I love that it’s n churn too! This looks delicious! Great recipe!! !